Before refrigerators existed the butter dish was key to preserving one of the most luxurious items of the day. 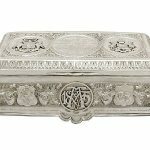 A butter dish is a small dish, sometimes covered, used on the dining table to hold a pat or individual scrolls of butter. It has been used as a way of keeping butter since the 19th Century. The butter dish comes in different forms, some keeping the butter suspended over ice chips, others have a metal slot or rack to hold a butter spreader horizontal to the table- ready for use, some have a simple cover, and there are those that are just simple dishes. 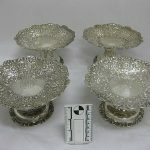 Butter dishes have also been made in varying materials through the years, such as, crystal, china, silver and ceramic. The shape of a butter dish can vary. Historically, if the moulded butter was round, the dish that held it was also round. Thus, for handmade butter, the typical butter dish was round. 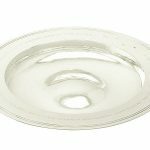 But once machine-made quarter-pound sticks of butter and butter substitutes became common, the popularity of the round one-pound butter dish gave way to the elongated butter stick dish most commonly seen today. A French butter dish is a type of butter dish that is used to maintain the freshness and spread-ability of butter. Traditionally this butter dish is crafted out of clay, it has two parts: a base that holds water, and a cup to hold the packaged butter, which also serves as a lid. The cup containing butter is placed into the base, where water creates an airtight seal that keeps the air away from the butter so it remains cool. 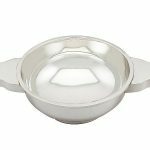 A particularly exceptional and understated type of butter dish is the silver shell butter dish. 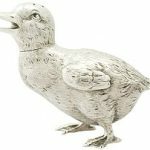 Silver butter shells have been crafted since the early 18th Century to the modern day. 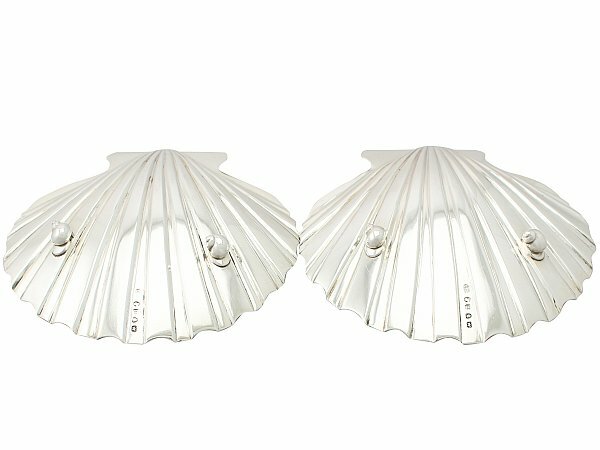 The butter shells were realistically modelled on, and a similar size to, scallops shells. They were made with either two or three, often simple, ball feet. 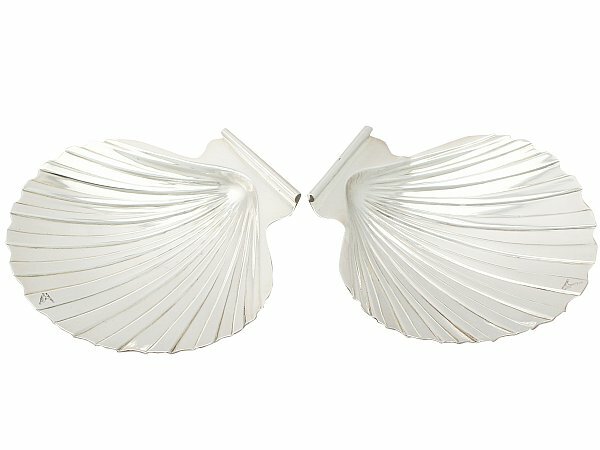 Antique silver butter shell dishes are not only a beauty to behold but are also very rare- full hallmarks are must-have if you’re planning on adding some butter shell dishes to your inventory. 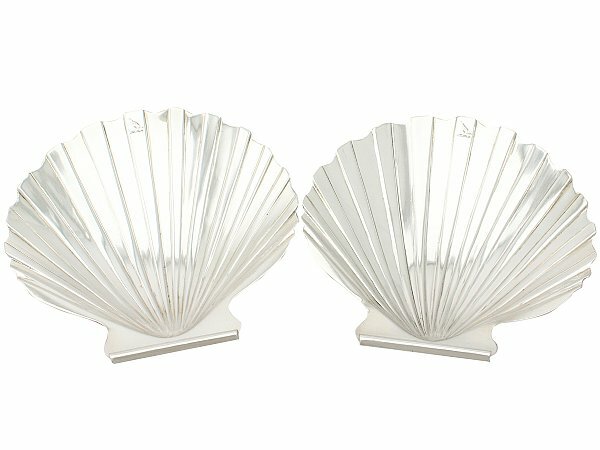 Here at AC Silver, we are lucky to have in stock a fine and impressive pair of Georgian butter shell dishes. Although butter may not have the luxury status it once had, the butter dish has not gone out of popularity. It would seem that for most people, purchasing a butter dish is not fuelled by the lack of a fridge but perhaps the opposite problem- the butter becomes too cold in the fridge! The general consensus is that the butter dish obtains the perfect temperature and freshness for a delicious spread. Previous Entry: What is a Kovsh? Next Entry: What is a Bud Vase?